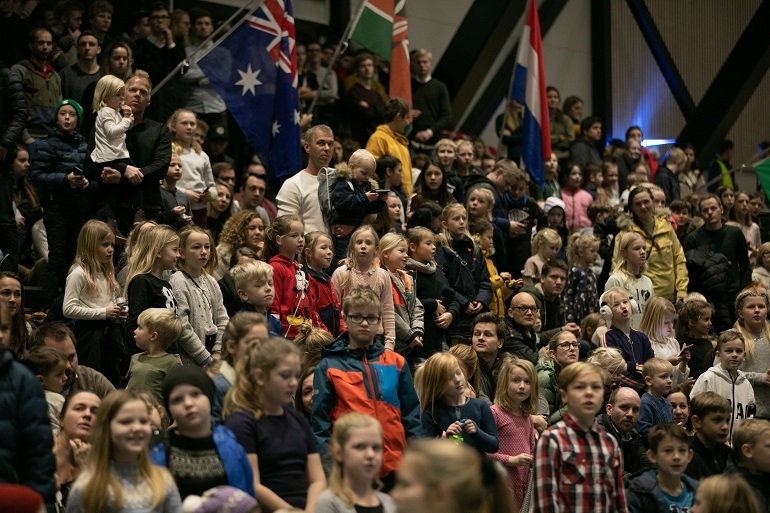 It is New Years Eve in Brunstad Christian Church (BCC). 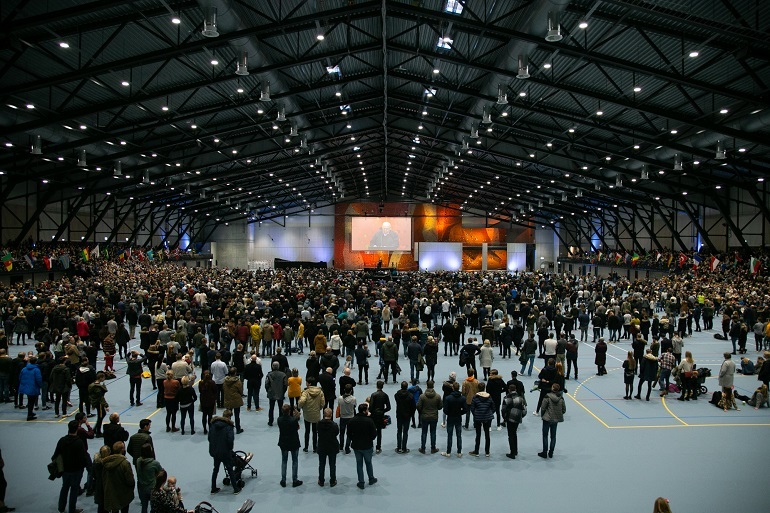 About 6,800 members, young and old, are gathered from around the world for the New Year`s Conference in Norway. 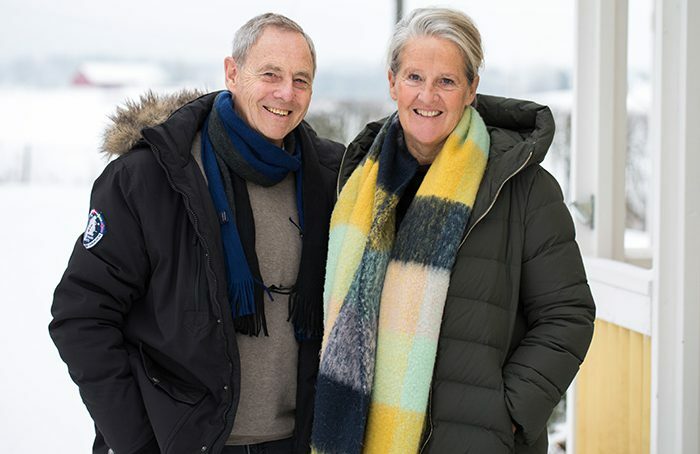 About 60% of the participants are Norwegian. 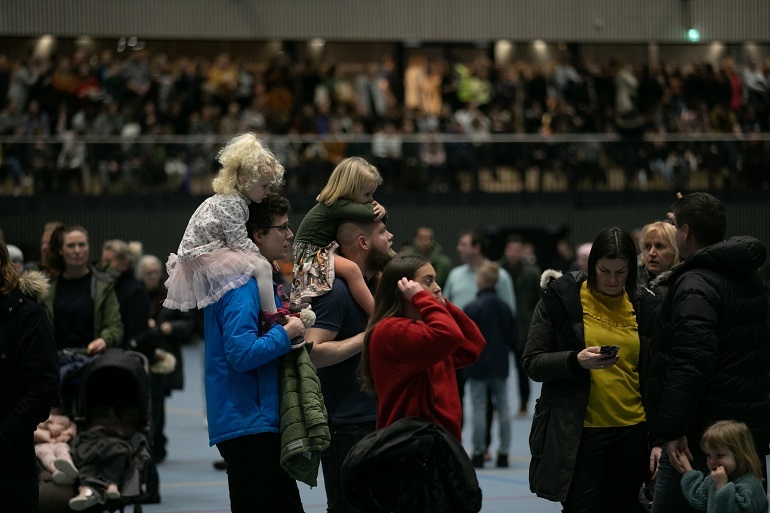 On the afternoon of New Year`s Eve, everyone gathers at Oslofjord Arena – the brand-new, multipurpose sports complex that opened its doors on December 1st. Soon, there will be tournament finals in youth volleyball, soccer and ice hockey. But first, a ceremony to commemorate BCC`s first use of the facilities. 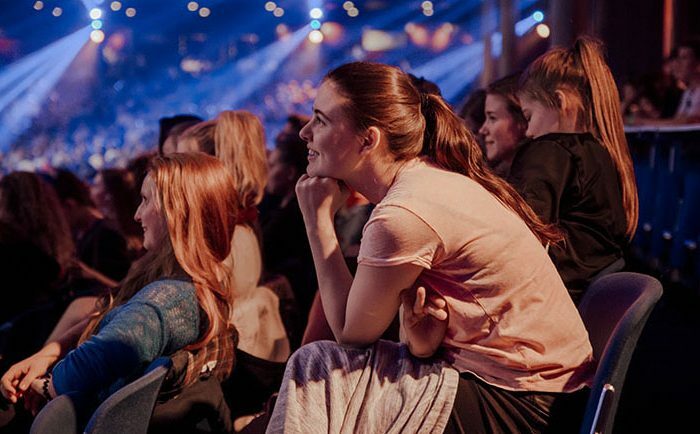 A short film features the historical perspective behind BCC`s policy of including activities and children`s games in church life, and when we are gathered around the Christian gospel as well. The topic of the film is Jesus´own words; “Let the little children come to me, and do not hinder them, for the kingdom of heaven belongs to such as these” (Matthew 19:14). Here, children are included, and BCC has a long tradition of welcoming the little ones. “What we do today actually carries out the vision of Johan Oscar Smith, only on a larger scale”, says Kåre J. Smith in his address. “Because of the growth and size of the church today, we need more arenas and facilities where we can assemble”, he says, and refers to the first flock of friends who gathered for fellowship and edification both outdoors and in their own homes. 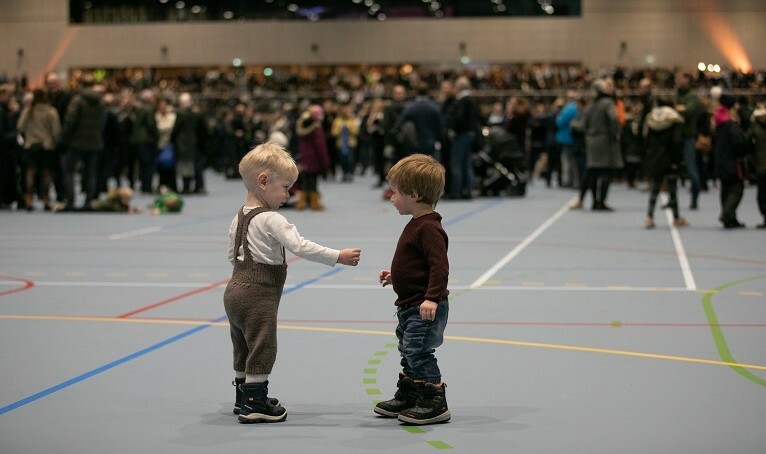 This New Year`s Conference is the first time BCC rents Oslofjord Arena, and many new possibilities have materialized as a result: room for sports such as volleyball, handball and climbing, a hockey rink, and large facilities for supporters, visitors and friends. On the outside, a splendid playground has been constructed for children of all ages. Outdoor soccer fields are designed in such a way that they can be iced in the wintertime. 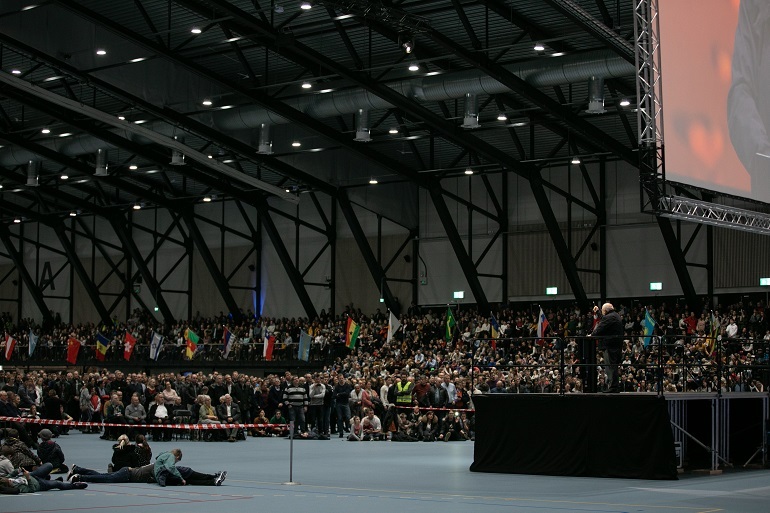 The celebration at Oslofjord Arena ends with a speech held by a teenager. 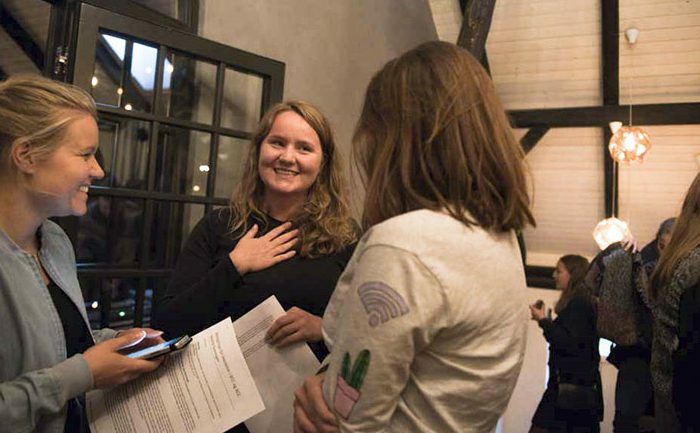 She tells about her many childhood memories from the conferences here at Brunstad. These memories have made her feel safe and loved, both by Jesus and by adult role models whose lives exemplify love, faith and truth. For this reason, she looks forward to coming here in the future. She closes her speech with a thanks for the many who have enriched her life with these memories, and continue to make it possible for her and her peers to experience so many good things. Families in BCC vary greatly in size, living standards, level of education, and financial status. There are different views on how to raise children, and in life´s many situations, we reach different decisions. But what we have in common is our Christian faith. The fellowship we share through our faith in Jesus as our Saviour means that we enjoy our time together. We love children, make room for them, and work to create safe and exciting endeavors for them. In our teachings, the virtue of love is central. Children are the future, and the kingdom of heaven belongs to them. Jesus welcomed them and had room for them, so we have room for them too. Because of that, we want to do everything we can for them to feel welcome in the church, and experience a positive and secure childhood, no matter what they choose later in life.